A leader in RNA research for four decades, Anita Hopper, professor and former chair, Department of Molecular Genetics, has worked to understand tRNA biology in the budding yeast model system. She and her research teams have made some startling, paradigm-shifting discoveries along the way. In the 1970’s, Hopper’s lab reported isolation of the first eukaryotic mutants defective in tRNA biogenesis, and later identified numerous gene products involved in tRNA nuclear export and biogenesis. Hopper’s use of a broad array of the tools of genetics and molecular biology, along with visualization techniques, allowed her to see that yeast tRNAs are aminoacylated while in the nucleus — a key step in regulating their export to the cytoplasm — and the paradigm-shifting tRNA retrograde pathway by which both yeast and vertebrate cells trigger cytoplasmic tRNAs to accumulate in the nucleus upon nutrient stress or tRNA damage. This helped set the stage for a better understanding of the role RNA — the most ancient form of nucleic acid — plays in cell development. Today, RNA is a powerful tool used by biologists, mathematicians, physicists, chemists and medical and agricultural researchers to answer important, fundamental questions. “I am extremely honored and humbled by this prestigious recognition by the RNA Society — an international group of more than 1,000 members dedicated to fostering research and education in the RNA sciences,” Hopper said. Currently, Hopper’s lab investigates the interactions of tRNA and proteins between the nucleus and cytoplasm in cells, using genome-wide sequencing to uncover mechanisms of tRNA intron turnover and possible alternative tRNA nuclear export pathways. 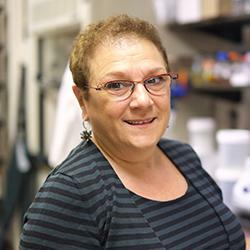 Ohio State’s Center for RNA Biology Director Dan Schoenberg, said, “Anita is a leader in applying genetics to RNA biology, and in doing so made groundbreaking studies on transfer RNAs (tRNAs). Of her many discoveries perhaps the most exciting is that of retrograde tRNA transport, where in stressed cells tRNAs move from the cytoplasm to the nucleus. Hopper is not known just for her research — although that would be enough — she is celebrated as an exemplary role model, mentor and cheerleader for colleagues, especially junior scientists. In the eight years that Anita Hopper chaired the Department of Molecular Genetics — she stepped down in September 2014 — she encouraged, inspired and created a supportive atmosphere that attracted and retained some of the country’s top researchers. Hopper has received many recognitions for her outstanding contributions to science and education; in 2008, she was elected fellow of the American Association for the Advancement of Sciences; in 2009, she received the RNA Society’s Lifetime Service Award; and in 2012, the Ohio State University Distinguished Scholar award. And, of course, there was Anitafest. 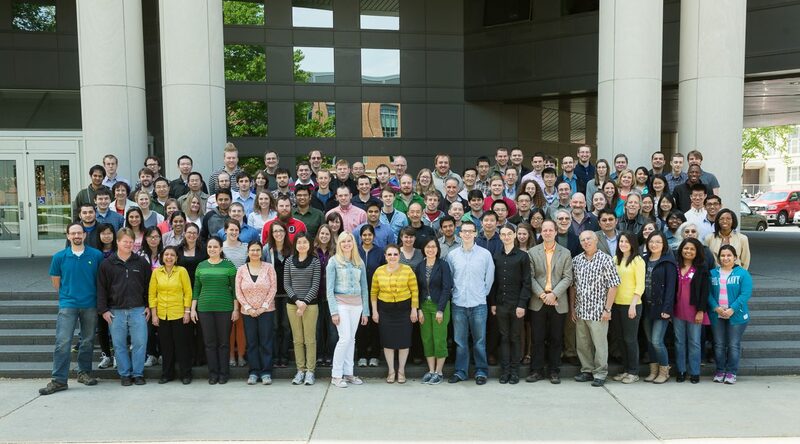 In June 2014, more than 300 noted RNA researchers from around the world — as far away as India and Poland — came together to honor Hopper at Anitafest. This entry was posted in News on February 6, 2015 by mikesell22.